The dream tree you planted in Africa with EAPTC nearly two decades ago is still growing and bearing fruits. Despite disturbances, confusions and wars everywhere, our national leaders and missionaries continue to spread the message of hope and plant churches in their communities and nations. Now this dream tree has outgrown from Africa to hanging its branches over in Asia. In South Korea, two more missions training classes have been set up in the heart of Seoul after its first class was convened in Eungam-dong area since last year. Some intellectual young adults with missionary vision are currently undergoing the weekly trainings and mentoring drill. Please keep this training ministry in your prayers because Korea holds an uprising world mission force in this generation. A missionary sent out from this Korean missions group began preparing for the launch of a Bible training center for a certain C-group. Due to the security, its details may not be shared much here, however, we’re sensing the move of the Holy Spirit in this direction. We cordially ask you to keep praying for our missionary and his work for C-group. At the same time, we thank God for the work He is doing through our gospel workers in Africa. 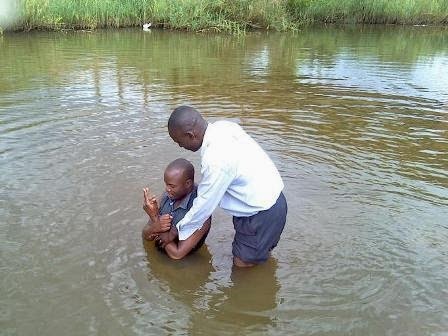 Three more churches have been planted in Malawi. A new radio preaching ministry has been on air every Friday and drawing many to find Jesus in Lilongwe area for the last several months. More candidates are joining both main and satellite Bible training centers for more effective leadership trainings throughout the nation. South Sudan, the youngest nation on earth, has been experiencing another challenge on the road to her peace and stability. Hundreds died and hundreds more fled their homes due to fighting that deepened chasm between the tribes of Dinka and Nuer. Often, actual situations in Africa are worse than what appears to be on the media. As the conflict persists, thousands face today the food shortage and hunger. Please lift South Sudan up in your continuous prayers. EAPTC operates churches and Bible training centers in the capital of Juba and surrounding areas. Pray for the safety of our church members and students in South Sudan. 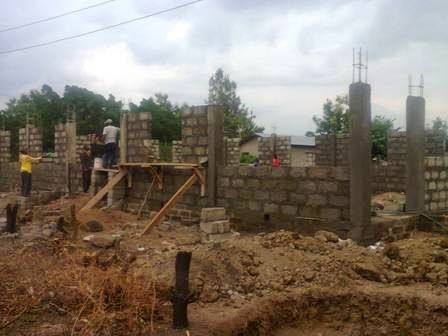 EAPTC’s construction project of mother church and elementary school is well advanced in Moshi, Tanzania. Recently, English medium schools opened, and thank God that the class 2-4 could already move to a new school premises. Moshi church is remaining with the challenge of raising $9,000 to complete its roofing. Please be in prayer with us for this project, and kindly participate with any amount in this worthwhile kingdom investment. Giving toward children and the body of Christ will go a long way. In Burundi, EAPTC’s Bible training center has finally produced its first group of graduates in Gitega. Thanks to the vision and perseverance of EAPTC Tanzania team, the group is scheduled to sit for final exam by the end of May and hold graduation ceremony on July 5. Pray that God will use these newly sharpened soul-winners to penetrate darkness and shine the gospel light in and out of their country of Burundi. As you can imagine, it takes more intercessors and finances to extend mission works to the rest of our world. Please keep standing with EAPTC and our faithful preachers. Your regular prayers and giving continue to nurture God’s dream tree. We’re not slowing down and will not slow down until this call is fulfilled – until God’s Church will be built on the Word and power on earth so that the lost millions may be led to our King’s presence!